A shelf-stable, concentrated milk product perfect for adding body and flavor to baked goods, sauces, even coffee. A shelf-stable, concentrated milk product perfect for adding body and flavor to baked goods, sauces, even coffee. 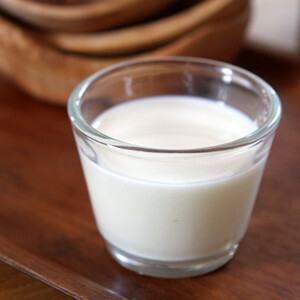 Evaporated milk tends to be off-white or tan, a result of the heating process.